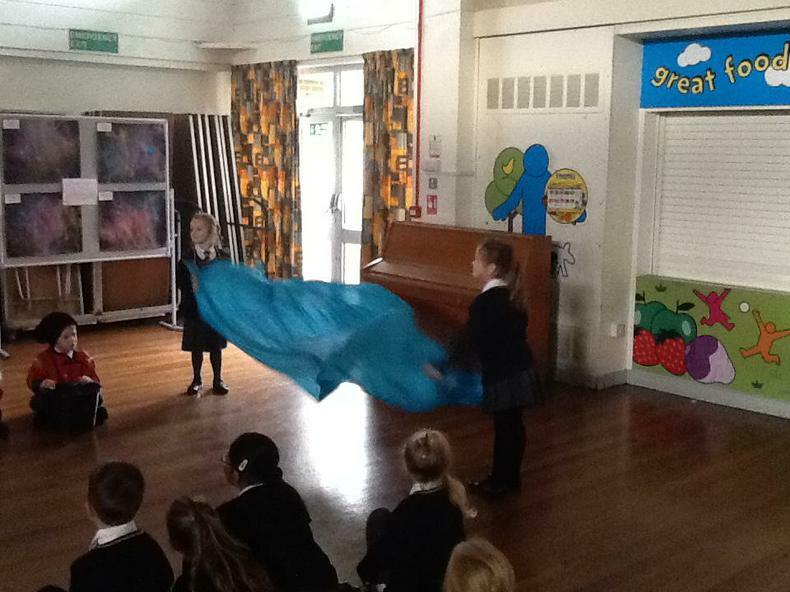 The children were very excited this morning as they entered the hall to start their drama workshop. 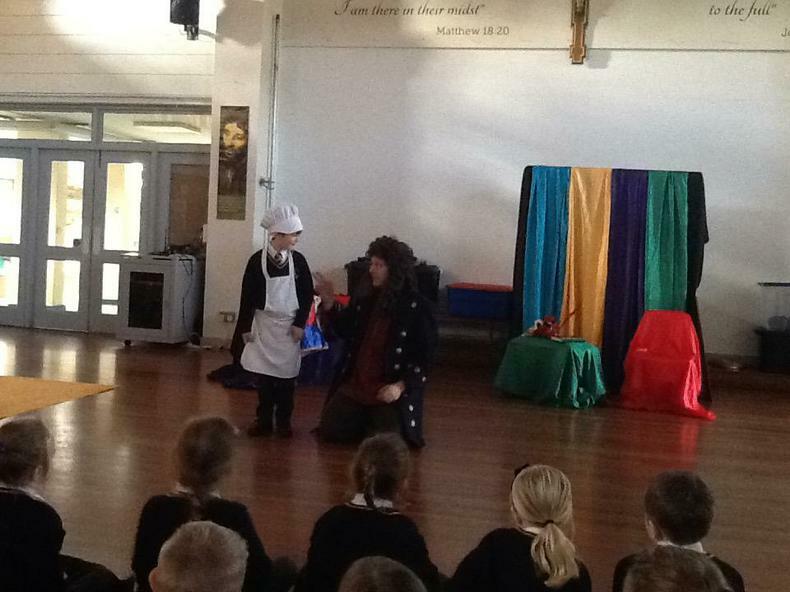 They were a little puzzled to find an empty hall until Samuel Pepys appeared ready to greet them. 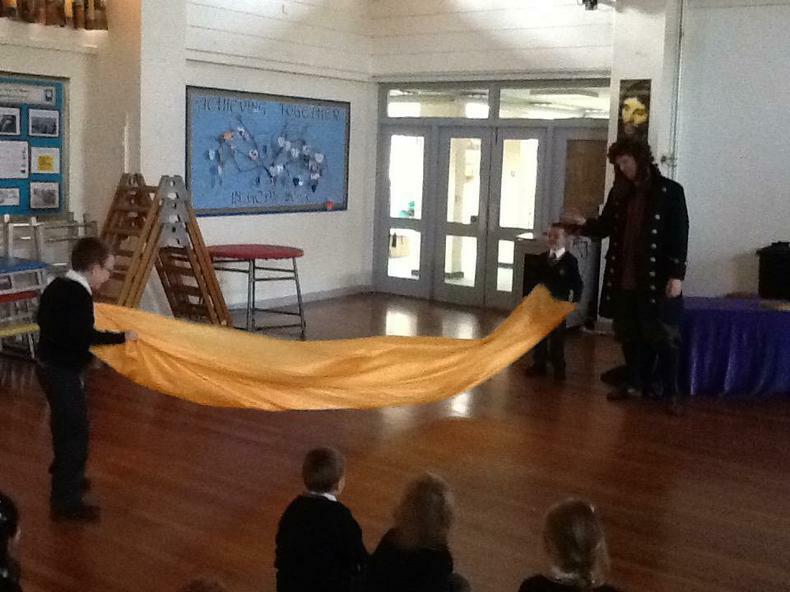 He then told his story using his diary. 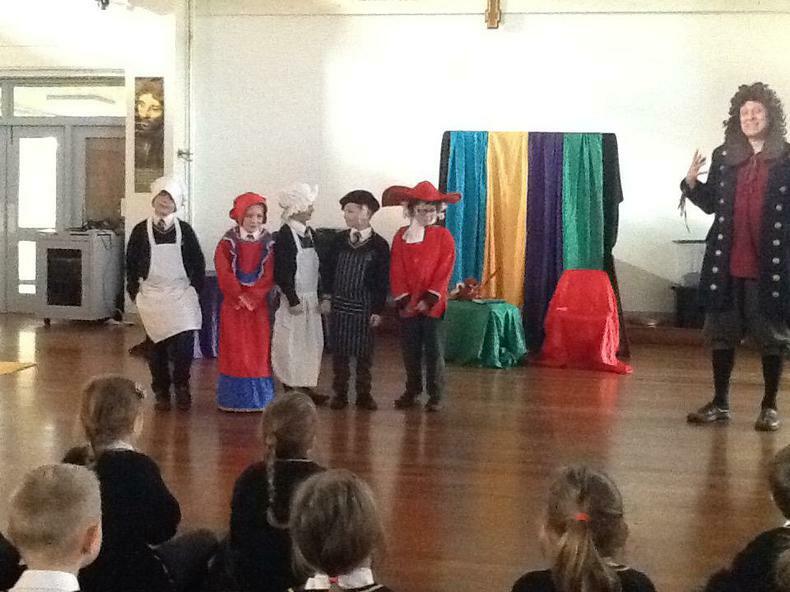 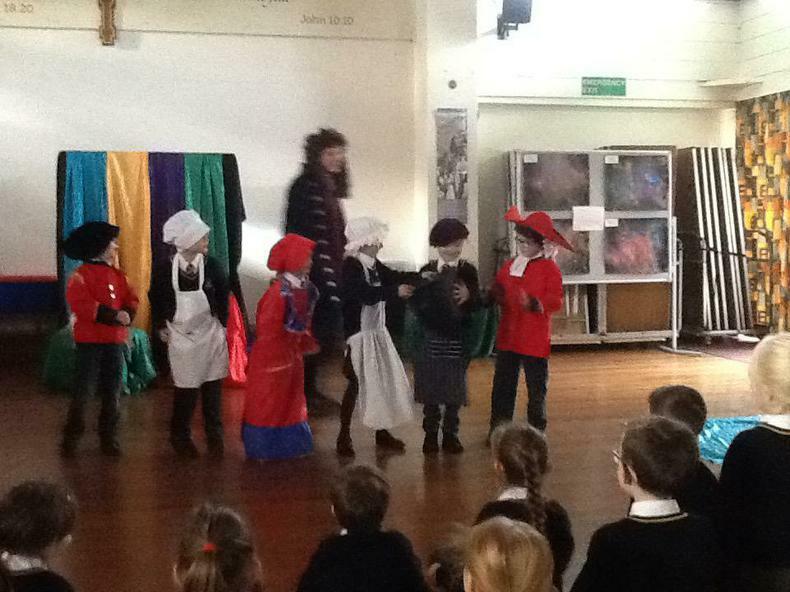 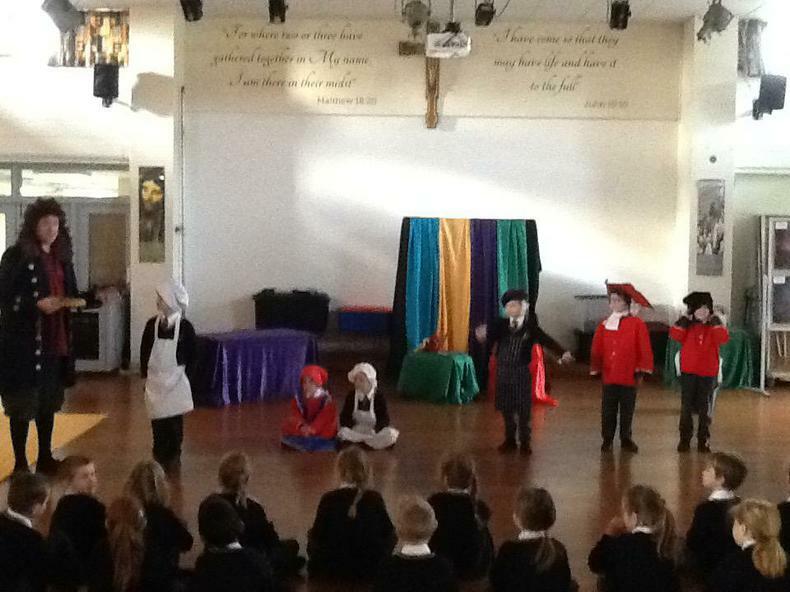 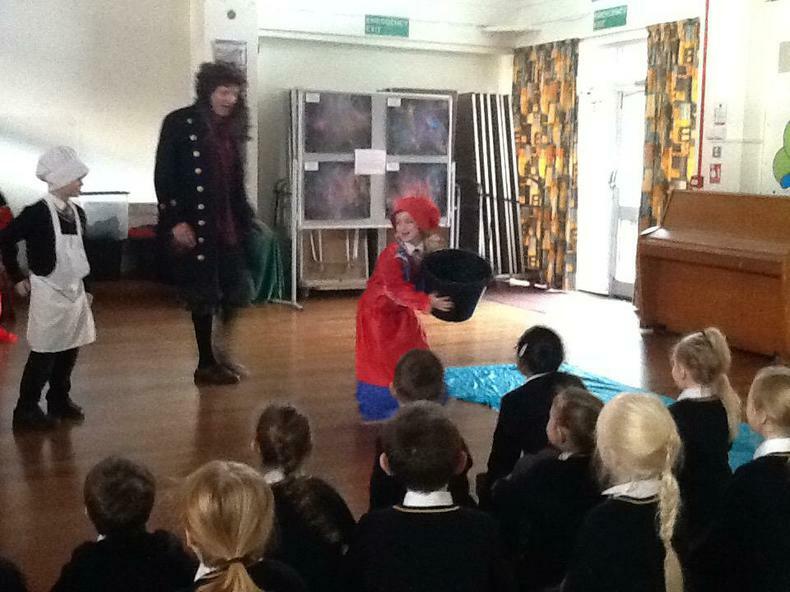 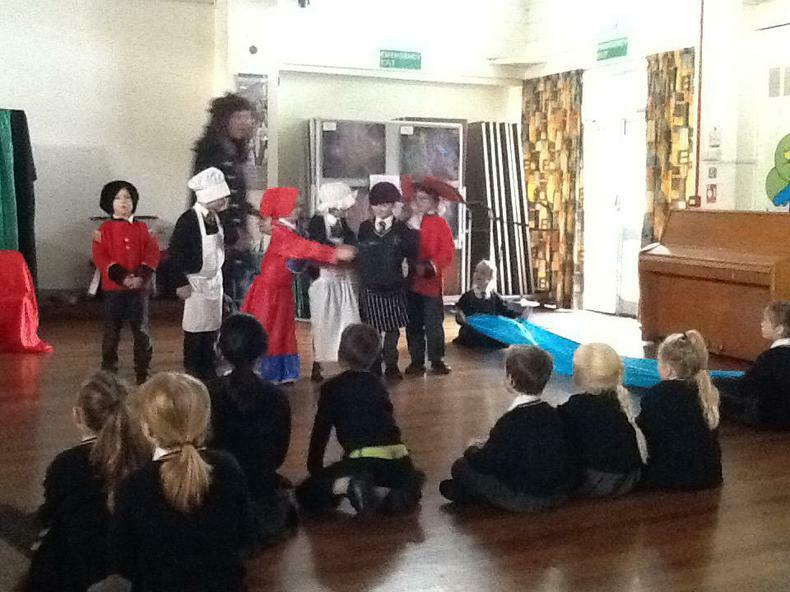 The children were able to become Thomas Farryner and other key characters in the story as they helped to relive the events which happened in London in 1666. 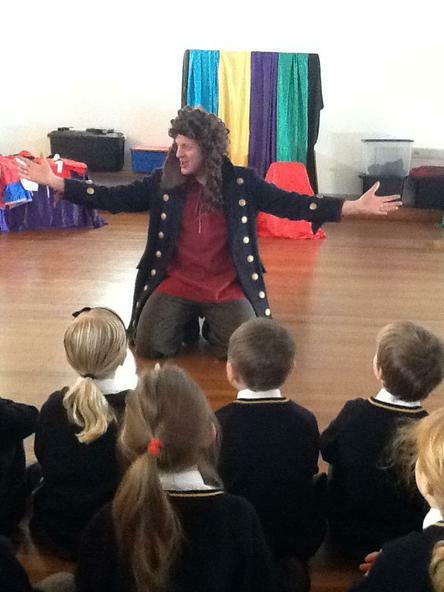 All the children had a fantastic time and are ready to write some really good diary entries in their English lesson.